Chinese authorities have developed an app to tell people if they are nearby someone in debt. 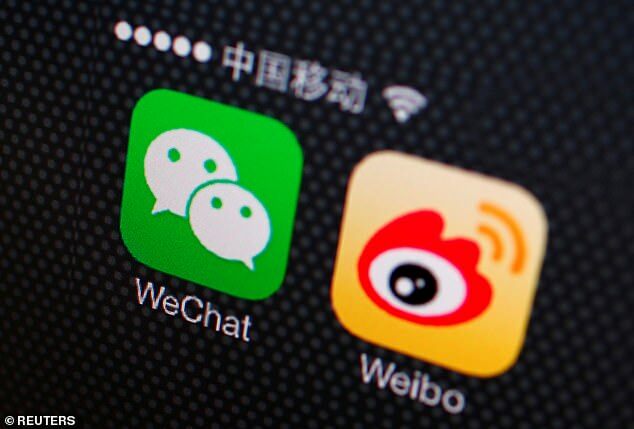 State-run newspaper China Daily reported that officials in the Chinese province of Hebei created the app, named 'map of deadbeat debtors', which can be accessed through social media app WeChat. The app alerts users with a flash when they are within 500 meters of someone who is in debt - the newspaper claimed. It also shows the exact location of the debtor, although it is not clear whether it displays any personal information. Aimed at getting citizens to keep an eye on people in debt, it is not clear how much debt a person must be in to be featured. In Chinese culture, saving is traditionally preferred over spending - with owing debts considered taboo. The app comes as China cracks down on lending with reforms of its social credit system. The new system, an extension on a person's credit score, will come into use in 2020 and will judge a person based on their trustworthiness and behavior on public transport. . The argument for a social credit system is that many people in China still have no formal access to traditional banks. They therefore need an alternative system to assess whether they can pay off loans, rent houses, or even send their children to school.